The transition from print to digital has been challenging for most magazine publishers, to put it mildly. The sudden surge of free content due to the rise of high-speed internet and mobile devices put traditional magazine publishers into competition with nearly anybody with a keyboard. The accompanying decline in advertising revenue put the traditional print magazine industry into a tailspin that we are still recovering from. The number of print magazines in print and circulation has declined, year over year, since 2000. There’s hope, however. The number of magazine readers over the age of 18 has been on the rise since 2012, with 214.1 million magazine readers in the United States in 2016. There are hundreds of reasons why publishing a magazine is still a good idea. One of them is the prevalence and ease of digital publishing platforms. If you’re new to publishing or if you’re simply looking to transition your print publication to a digital format, we’ve got you covered! We’ve compiled a list of the best digital publishing platforms in 2018. No matter your level of experience or technical proficiency, there’s a digital publishing platform to bring your vision to a whole new audience. There’s been a rush of excellent digital publish platforms as more and more publishers make the leap to digital publication. They might be hoping to take advantage of the wider reach of eCommerce, offering their publications to a global audience. Or perhaps they’re simply looking to take advantage of the advanced marketing metrics of digital publications. Before we begin, let’s take a look at some of the benefits of creating a digital magazine. Magazines of all kinds have been experiencing a resurgence in recent years. Brands, business owners, marketers, and publishers alike are rediscovering magazine’s ability to deliver in-depth, stylish content to connect with their audience. First and foremost, digital magazines are an excellent opportunity to deliver branded content. 57% of marketers report creating custom content to be important for their marketing strategies. Considering that 78% of consumers are more likely to trust a brand that creates custom content than those that don’t, that’s reason enough to consider pursuing digital publishing platforms. Secondly, magazines are making a resurgence in a big way. There were 10 million digital magazines in circulation in 2013. This is double the number of digital publications in circulation in 2012. These kind of numbers are hard to ignore. News readership is on the rise, as well. 64% of tablet users read the news at least once a week on their mobile reader. 37% of tablet users read the news daily. If you’re publishing news, it’d be a mistake to overlook this active and engaged audience. Finally, digital magazines are a prime opportunity to achieve the Holy Grail of digital marketing – to entertain and delight the audience. This increases audience engagement and makes your audience feel more connected to your brand. Digital magazines can achieve what is nearly impossible with traditional advertising, creating an air of connection and trust. It does so at a fraction of the cost of similar benefits using traditional marketing, as well. What someone is looking for in digital magazine software largely depends on taste. It all depends on what you’re looking for and your degree of technical expertise. To start, there are a few questions to ask yourself to decide which digital publishing platform is right for you. Are you designing your magazine from the ground up? 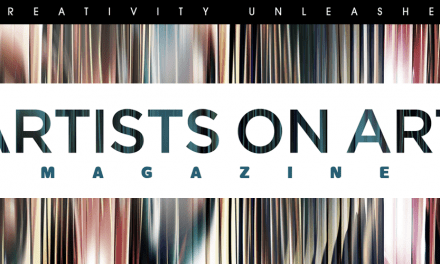 Do you want to make an electronic version of an existing magazine? How do you hope to monetize your magazine? Do you need advanced analytics? 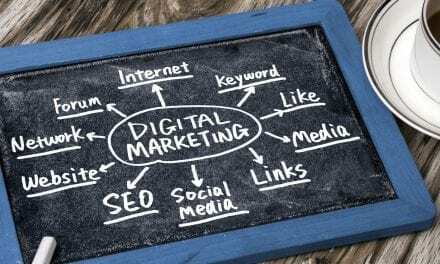 All of these questions will impact which digital magazine software will be best for you. There is still a bit of controversy around whether web-based or native apps are the best for digital publishing platforms. This is true for app developers as well as those who use them. To help you decide if a web-based or a native app, here’s a few things to keep in mind. For the end user, web-based apps and their native counterparts are often nearly identical. The development processes for both are widely different, however. A key thing to keep in mind is that web-based apps can not get listed in app stores like Apple and Google. Only native apps can get listed and found in the App Stores. If you’re an app developer looking to develop a native app, you’ll need to decide which OS you’re developing for. Each platform has its own coding language. Each platform generally offers its own development toolkit, as well. Web-based apps don’t suffer from the same limitations. They also don’t benefit from the same standardization, however. If you’re developing a web-based app, you’re likely on your own. This can cause a wide discrepancy in your web-based apps’ performance across different devices. Web-based apps have their benefits, however. Native apps need to be updated regularly, which can be a turn-off for the end user. Web-based apps will be continually updated, so you won’t have to trouble your users. Web-based apps won’t be able to be sold on app publishing platforms, however. If you’re hoping to monetize your app, a native app is likely your best bet. Native apps can be more expensive to implement, but they also offer more opportunities to generate income in the long-run. Keep this in mind if you’re deciding which kind of app will best suit your particular business goals. 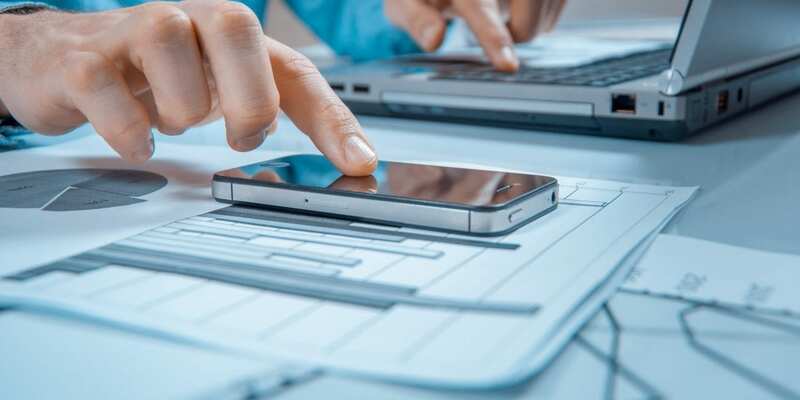 As the mobile revolution has gained momentum, there are any number of digital publishing platforms that easily publish your app or digital publication as both a native app as well as offering a web-based solution. 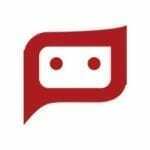 Many of the best digital publishing platforms handle all of the coding behind-the-scenes and in-the-box. You don’t have to be a command line guru to create an outstanding native app that also has a web-based component. For digital publishers, there are numerous excellent digital publishing platforms that also offer native and web-based versions. Considering that 61.9% of Americans currently own a smartphone, we’ll start by looking at some of the mobile-friendly platforms. We’ll be mostly looking at native apps and plug-ins, but we’ll take a look at some progressive web applications as well. In the section below we will be looking at a range of the most well known digital publishing platforms. They tend to offer similar options and services but may sometimes be difficult to compare 1:1 as they also differ in how price is calculated, what formats they support and where you get published. All starting prices listed below assume that you are interested in as much exposure of your digital publication as possible. This means at minimum a web-based app, a native iOS app and a native Android app. JOOMAG is a good way to transform your PDFs into an interactive digital magazine at a lower cost. It also offers the ability to design digital publications from scratch, using their templates or web-based editor. JOOMAG easily integrates audio and video into your digital publication. You simply place a hyperlink to a Soundcloud clip or YouTube video. You can upload content from your hard drive, as well – JOOMAG’s set up for that. JOOMAG does not offer responsive design for all devices, however, which is a major shortcoming. JOOMAG still offers impressive analytics, even for free users. JOOMAG is a fine choice for those looking to make an online web-based digital publication with no complications. 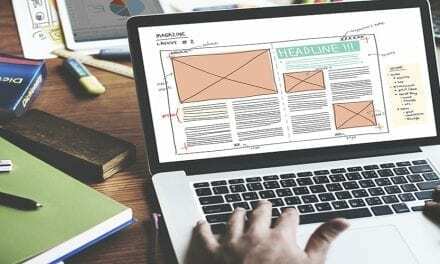 The drag-and-drop format and extensive templates make even the most inexperienced publishers able to make attractive, engaging digital magazines quickly and easily. For many years, Adobe Digital Production Studio (DPS) was the flagship product for app developers. So much so that DPS, which has since been discontinued, could cost several thousand dollars a month. 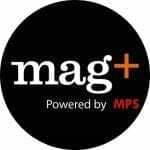 Those who loved DPS or aspired to its greatness are in luck with Magplus! This digital publishing platform offers a similar workflow to DPS, operating as an Adobe InDesign plug-in. It also easily exports all of your apps to all of the major app publishing platforms. Magplus lets you easily create any kind of digital media you could need. Publishing apps, digital magazines, and high-quality eCatalogs is easy and painless. This impressive digital publishing platform is nearly as powerful as DPS was, and at a fraction of the price. If you have a larger budget and prefer to work with Adobe content creation tools then Magplus may be a good fit. Not every digital publisher needs to make a fully functional app. Many of you will be looking for a simple way to export your publications into a native app format. 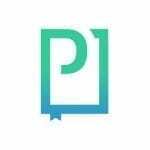 Pixelmags is one of the simplest ways for digital publishers to create app versions with minimal effort. Pixelmags lets you upload a PDF and convert it into a native app for nearly every platform you can think of. 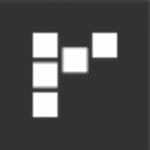 Pixelmags automatically uploads your digital publication to Google Play, Amazon, and the Apple app store. Pixelmags lets you maintain control of your apps, so you’ll keep 100% of the profits. This is what separates them from many of the other all-in-one digital publishing platforms. They handle all of the coding work without adding watermarks or proprietary software. 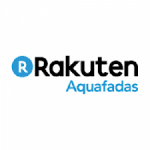 Aquafadas by Rakuten is largely geared towards corporate clients. It’s been used by huge publications such as Elle, Men’s Fitness, and Paris Match. Aquafadas is best-known for its slick, intuitive ‘conversion process.’ Aquafadas automates nearly every aspect of creating a digital publication. Simply upload a PDF and export your creations to every major native app publisher. 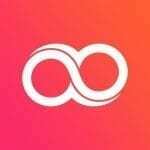 Aquafadas is particularly well-geared towards creating integrating interactive video and audio into your apps, helping your digital publication to stand out on the app store. Media publishers have more power and resources than at any other time in history. This also means that digital publishers have more to keep up with than ever before, as well. Mazdigital takes this into account, making it simple to publish multimedia content across every platform and device with simple one-click publishing. 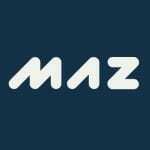 Mazdigital is noteworthy for the variety of pricing and plans available to your users. You can create free versions of your app that feature native advertisements, offering another revenue stream for your digital media. There’s also premium, paid versions that remove the advertisements. There’s a slick interface for subscriptions, as well. With Mazdigital, you have the chance to become your own fully-functional news organization. The 24/7 news cycle never sleeps. Creating an app with Mazdigital lets you take advantage of that fact and give your customers what they want. Pagesuite is another excellent native app for digital publishers who want to focus on creating publications like a digital magazine. 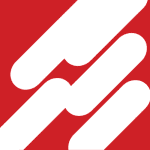 Pagesuite features a robust PDF-driven app creation process. 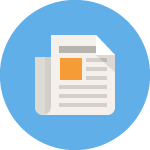 Pagesuite also removes the need for complex coding or extensive design.There’s a wide range of templates to easily make your PDFs look their best. Pagesuite features extensive customizable options, as well, to make your digital publication unique and stand out from the competition. Early on in the mobile renaissance, digital publishers realized they must find a way to adapt to the changing climate. Apple realized this as well and offered a partnership with creatives and the idea for Presspad was born. Apple realized they needed developers to create apps for their then-new iPads. They reached out to Presspad’s CEO, offering them the opportunity to help people publish Apple apps, for free, to the App Store. Presspad is a great choice if you’re looking to make the leap to having your own App. You’re somewhat tethered to Presspad, as well, so you won’t own your app as fully as you might like. Presspad is also limited in its ability to add interactivity, which is another drawback. They do however support hyperlinks which allow you to create clickable/tap-able table of contents elements. Readz is probably one of the most powerful content creation platform on the market for online publications. They do not offer native iOS and Android apps, but focus on a professional online web app. Readz helps marketers and media companies create beautiful digital experiences with an easy-to-use creation platform and integrated marketing stack – no coding or templates necessary. Readz has a drag-and-drop visual editor, with pre-made modules and a wide variety of animations. Content created with Readz is fully responsive (they dislike PDF’s just like MagLoft) and it’s also Search Engine Optimized. We may be biased, but we also know the state of the digital publishing marketplace. We also know what tools that digital developers and publishers need to flourish and transition into digital publishing painlessly, and all in one place. 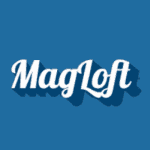 With Magloft, you get a simple, elegant web editor using our state-of-the-art Tyeploft editor. You can also easily drag-and-drop your PDFs and HPUB’s into interactive designs. Audio, video, GIFs, and animations are also easily integrated. Once you have your interactive content, you can easily export it as a native app, as well as web-based content. You’ll gain access to detailed, actionable analytics from your digital magazine that will truly help your organization continually evolve. Ready To Give Digital Publishing A Shot? Whether you’re looking to create a publication from scratch or you need to convert your existing content into interactive experiences, Magloft is the best when it comes to digital publishing platforms that make it easy to deliver your digital content to a worldwide audience. Check out some examples of digital magazines made with Magloft and sign up for free today to begin realizing your vision. Hi guys, Wojtek from PressPad here. Thanks for the mention about PressPad. >> The primary disadvantage is the inability to add interactivity.